I recognize that purchasing or selling a home is the single largest investment my clients will make in their lives. My goal is that every client’s home provides a sound investment that maximizes equity, provides security for a strong family foundation, and is located within the top ranked school districts in the Silicon Valley. My mission is to maintain my reputation of honesty and integrity in dealing with all clients and business associates. I will be patient with my clients and be an excellent listener to their needs and wants. I have a sincere understanding and respect for different cultures which make the San Francisco Bay Area such a dynamic, unique, and exciting place to live and raise a family. I am proud so many people put their trust in my real estate leadership and I look forward to proving my reputation with you. Former CEO of a subsidiary NYSE company with annual revenues of $1 Billion. Former Senior VP of Sales and Marketing of a NASDAQ company with annual revenue of $300 million. Former Senior Public Auditor with Ernst and Young in San Jose, Ca. I am a top producing realtor with the #1 Residential Brokerage, Coldwell Banker Previews. On average Joe Piazza’s listing clients receive 99% of list price, and buying clients purchase at 91% of list price. I maintain a reputation of honesty and integrity in dealing with all clients and business associates. I am a long-term relationship realtor not a transactional realtor. I have real business experience to maximize your equity and to minimize your legal liability. I will provide daily communication to identify opportunities and eliminate all surprises. I will provide free staging advice, host open houses every weekend, and provide maximum local and national advertising of your beautiful home including maximum Internet exposure. I am a former Executive Officer of a NYSE & a NASDAQ company, and I have earned a MBA and a finance degree that helps me to be a superior negotiator on your side. I follow through from the beginning to the end of every transaction. Most of my buyers and sellers are repeat clients and referrals. I have an outstanding network of real estate professionals including financing, title, escrow, legal, inspections, repair work, and local city planning officials. I am totally dedicated to protecting my client’s emotional, financial, and legal interests in every transaction. I have 24-hour access to all properties on the Multiple Listing Service (MLS). I am a member of (NAR) National Association of Realtors, and (CAR) California Association of Realtors. I am a member of (SILVAR) Silicon Valley Association of Realtors, and the San Jose Board of Realtors. I am 5th generation to live in Northern Ca. ; I have lived in Saratoga, Los Gatos, Almaden Valley, & Silver Creek Valley. I have superior people skills, strong work ethic, common sense, and a sense of humor. Why Choose Joe Piazza & Coldwell Banker Previews to Sell or Buy your Next Home? Leading Real Estate Companies of the World is a pedigree denoting the very best companies with the most qualified clientele, who wish to do business with similar firms in their new destination locations, attracting potential buyers for your home as a result. Coldwell Banker Previews’ network represents 31% of all sales in the United States representing 285,000 more sales than Coldwell Banker. As soon as your home is posted on my website, it is immediately accessible from the websites of the top real estate firms in the world offering nearly million listings online. Coldwell Banker has over 30 offices in the Silicon Valley, over 1,500 sales professionals in Northern California, and their sales professionals on average produce over three times the average of our nearest competitor. Coldwell Banker Previews Northern California is spending $5 million per year on search engines like Yahoo, Google, Zillow,Realtor.com, Trulia, and the San Jose Mercury News online to position buyers in front of our clients’ home on four leading websites: www.cbnorcal.com, www.LeadingLuxuryHomes.com , www.PiazzaAdvantage.com, and www.Realtor.com. Coldwell Banker Previews has the #1 real estate website in Northern California at www.cbnorcal.com and www.LuxuryRealEstate.com, with over 35 million hits per month representing over a dozen Listing services in Northern California with over one million plus hits per day and clearly the number one most visited luxury real estate web site. All Coldwell Banker Previews listings will be priority listed onwww.Realtor.com where over 86% of home buyers use this site for finding their new home. Coldwell Banker Previews is the No. 1 advertiser per year in the San Jose Mercury News, Local Newspapers, Local Radio, Local Television, Wall Street Journal, Home and Design, Homes & Land, Property Pages, Unique Homes, and Previews. Coldwell Banker Previews Realtors over the last 10 years have sold more homes over $1 Million in Northern California over any other real estate company. Coldwell Banker Previews represented the most amount of million dollar plus homes with over $12 Billion in sales volume in Northern California and voted The Best Broker for Luxury Homes in the Silicon Valley from 2005 to Present from the San Jose Mercury News. Coldwell Banker Previews Northern California has the most powerful combination of legal expertise and litigation counsel for our sales associates and clients to support legal issues and to prevent lawsuits and claims. Coldwell Banker Previews through Leading Real Estate Companies of the World represent the greatest percentage of the national relocation business, with hundreds of thousands annual transfers which provide our selling clients with qualified buyers who will be among the first to learn about Coldwell Banker Previews listed homes for sale. 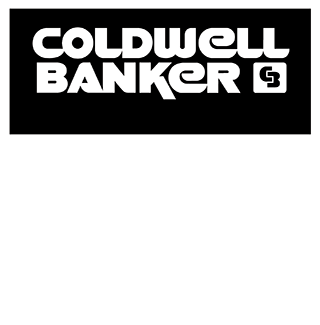 Coldwell Banker Previews Realtors has the most experienced agents and managers in the business which explains why we enjoy a leadership position in the Bay Area real estate for the last 18 years. Coldwell Banker Previews sets expectations, we attract the best realtors, we sell the best homes, and we are focused on the Bay Area! I will develop a pricing plan, marketing plan, budget, and comparative analysis for your home. I will utilize comprehensive pricing comparisons and research to maximize your equity return. I will completely differentiate your home from other competing homes on the market. I will identify what resources and staging you home will require prior to listing on the market. I will advertise on a regular basis in the San Jose Mercury News, Local Papers, Homes and Land, Property Pages, Unique Homes, and Coldwell Banker's exclusive publication until your home is sold. I will provide virtual tours, multiple photos, and priority Internet advertising at www.PiazzaAdvantage.com, www.cbnorcal.com and www.Realtor.com with every listing. I will outsource professional photography and create four color and high gloss brochures for every listing. I will submit a detailed listing to the Multiple Listing Service including several pictures and a virtual tour. I will install a professional Coldwell Banker sign and install a security lockbox to allow access. I will send over 3800 emails with pictures to Joe Piazza’s potential buyers in my highly qualified list of potential buyers. I will direct market to 500 neighbors to encourage their friends and family members to visit your home. I will personally host Coldwell Banker Previews tours and other realtor tours. I will provide a weekly status report on market conditions and recent sales activity for all listing clients. I will facilitate the completion of all inspections, repairs, staging, and the entire escrow process. I am dedicated to protecting my client’s emotional, financial, and legal interests during and after the selling process. I will personally call to follow up and thank every Realtor and potential buyer who will tour your home. Selling your home is a team process, I promise to be patient and listen to your needs. Through excellent communication I will eliminate surprises and keep you completely informed. I will lead the selling process with professionalism, integrity, and action. I will negotiate the best sales price and terms. I am willing to align our economic interests to reach our ultimate goal. I will develop a specific buying plan for buyers based upon location, budget, schools, commute, neighborhood, lot size, square footage, terms, and timing. I will research, preview, tour open houses, and produce property profile reports for all homes in our search criteria. I will negotiate the best price, terms, contingencies, and the personal desires of my buyers. I will provide a weekly status report and daily communication on any new listings or price changes. I will be informed on all inventory, pricing, and market conditions in your search criteria. Buying a home is a team process, I promise to be patient and listen to your needs. I will actively describe your home search criteria at all office and board meetings. I will utilize comprehensive pricing comparisons and research to negotiate the best purchase price. I will provide immediate listing alerts and virtual tour/ photos to all buyer clients at www.PiazzaAdvantage.com. I will send over 1,500 emails describing your specific buying needs to Coldwell Banker Previews in Northern Ca. I will personally attend open houses on Saturday and Sunday with by buying clients. I will facilitate the mortgage and escrow process including completion of all inspections, repairs, and contingencies. I am dedicated to protecting my client’s emotional, financial, and legal interests during and after the buying process. I will personally call to follow up with every Realtor and potential seller who matches our home purchase criteria. Buying your home is a team process, I promise to be patient and listen to your needs. I will lead the buying process with professionalism, integrity, and action. Hold a Broker’s open house, twilight tours, and Luxury home tours to assure maximum exposure to the area’s finest Realtors and their qualified buyers. Joe Piazza will also provide a significant amount of Internet Exposure for your Home! My website www.PiazzaAdvantage.com has generated over 8,000,000 hits to my listings. A full color virtual tour and a high quality property flier in a PDF format with specific property details and multiple pictures will be posted to the following leading real estate websites.